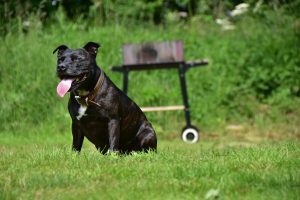 Little Oak Camping is a tranquil and secluded Nottinghamshire campsite. 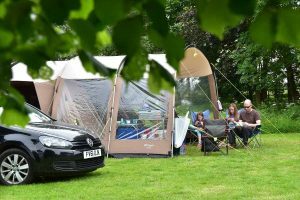 Tucked away near the market town of Retford, deep in the heart of Robin Hood country, enjoy your stay with camping and glamping. 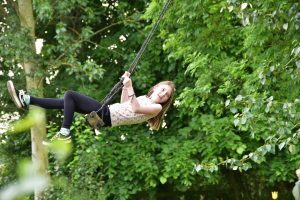 You will feel at home in a charming spot surrounded by fields, a wild garden and a brilliant family play space, for hide-and-seek, football and fun. 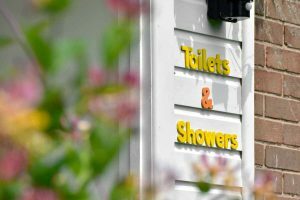 Accommodation at Little Oak Camping can be booked as a whole for groups, parties and weddings, or on quieter weekends, it can act as an intimate romantic space. 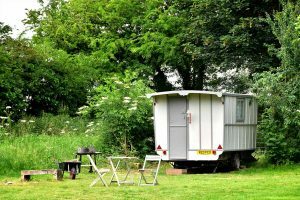 With the best of Nottinghamshire glamping and camping available, there is something for everyone here! 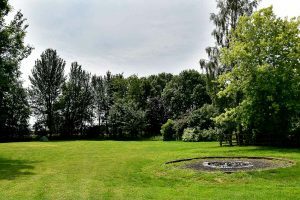 Our tranquil Nottinghamshire campsite is set at the foot of our 2 acre property, surrounded by fields and a wild garden. It’s a beautiful, peaceful space suitable for up to 15 pitches. We limit the number of campers so we can offer generous pitch sizes so you can enjoy a bit more space. We want your stay to be special and offer a number of features which we think make a big difference. Glamping available in cosy Romany style caravan. 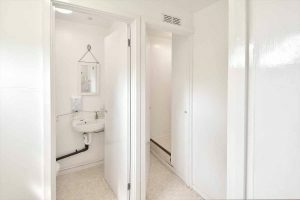 Brand new shower and toilet facilities. Campfires allowed on our 4 fire sites. Free pick up from local transport (with notice). Option to book the whole site, great for parties. Bedding & cooking packs available to hire. There is no electricity for the pitches. Camper vans, caravans, commercial and twin-axle vehicles are not allowed. There is a brand new toilet and shower block. Half the fun of camping is taking the chance to enjoy some great food. 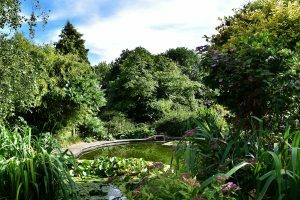 As well as a lot of local produce available in the area we have our own veg garden and fruit trees and you can buy seasonal vegetables and home-made jams and chutneys on site. Andy’s delicious homemade bread is a favourite! For those who want to travel light, bring a tent and you can rent sleeping mats, pillows and sleeping bags, and a range of cooking, drinks and BBQ packs. And of course firewood and marshmallows! Simply add the camping and food extras when you make your booking! 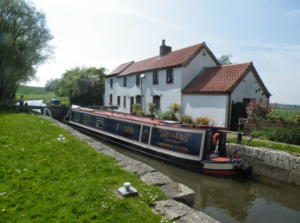 From our spot in North Nottinghamshire there is so much to see and do! 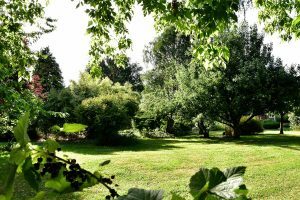 The campsite is surrounded by beautiful countryside for you to explore. For foodies, there is a great gastro-pub within an easy walk, and a cheap and cheerful alternative for when you are in the mood to save some pennies. 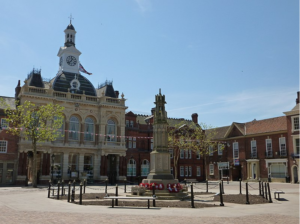 And you are in easy walking distance (1.5m / 3km) of Retford , a charming Nottinghamshire market town, with its many independent shops, cafes, restaurants, pubs and canal! 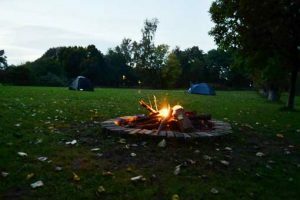 Whether you’re looking for the best of glamping in Nottinghamshire, or a peaceful Nottinghamshire campsite in Retford, Little Oak Camping could be ideal for your getaway. 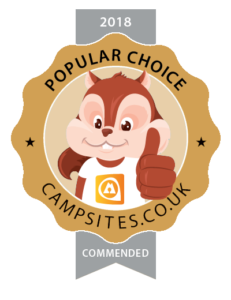 Contact us now to find out more about camping and glamping in Nottinghamshire. For the benefit of all our guests we request that all music is turned off and everything is quietened down by 11pm.